What’s Microsoft Going to Do When Sony Announces the PS5? The Xbox One X is here, and it's impressive, but it's not the Xbox 2. No, that honor will go to a fully next generation machine. The new console is doing well for itself, with early sales numbers blowing past expectations. Unfortunately, Microsoft is still pretty far behind the PS4 in overall sales. Sony released the PS4 Pro a year before Xbox One X, so it stands to reason they will announce the PS5 before Microsoft says anything about their next console. What will Microsoft do in this situation? Are they already planning for it? Let's discuss. Sony and Microsoft are both in the midst of a grand gaming experiment. The PS4 Pro and the Xbox One X are the first iterative consoles ever released. 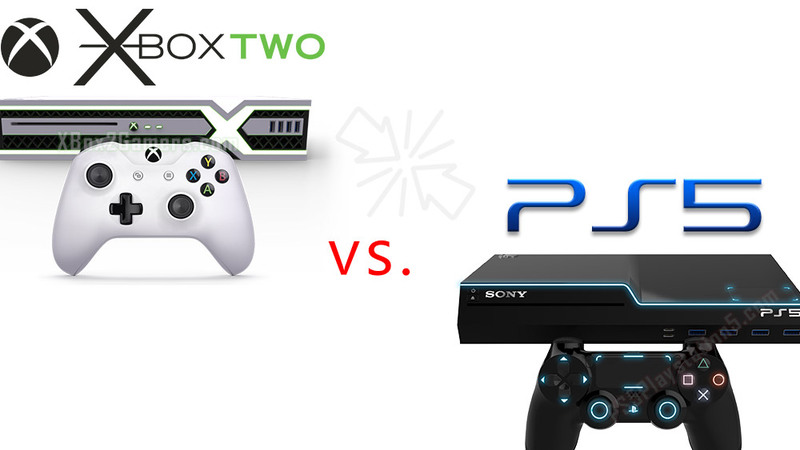 Never before has a generation been home to two consoles of differing power. It's still a young concept in the big picture, but it begs the question: are generations going away? Sony has expressed interest in the PS5 multiple times, thereby giving us the green light that they will eventually do a next generation console. Microsoft, on the other hand, has been cagey ever since the announcement of Xbox One X as Project Scorpio. They welcome a future where iterative consoles could come out every few years and offer consistent upgrades. While they never directly said generations were done for, they haven't exactly made the distinction clear. He goes on to describe Microsoft's renewed focus on compatibility. Not only is the Xbox One X backwards compatible to Xbox One, but more and more titles from the 360 and original Xbox era are becoming playable. It's one of the more unique aspects of Xbox right now, and it's giving them an edge with gamers who want that backwards compatibility. He went on to say that the next Xbox will most likely be backwards compatible to Xbox One. Regardless of what they do next, having that ability to keep and play your library on new devices will be a major focus for them. Check out the video below for the full episode. Sony Announces The PS5: What Now? Time to enter uncertain waters. Let's imagine that Sony has announced the PS5. At this point, the Xbox One X and PS4 Pro have both had time to shine and settle into their ways, but the future is upon us. It will be interesting to see if Sony drops the bomb at E3 or if they have a separate event like they did with the PS4 announcement. In either case, it will be a shock to the consumers and possibly even Microsoft. Rumors have been kept to a minimum thus far with the PS5. That being said, PS4 Pro was leaked long before we had confirmation, so again, this aspect is up in the air. Whether it's a shock to everyone or we see it coming, Microsoft will be preparing for it. They are probably already talking about what comes next behind closed doors as companies often do with new systems. Since the Xbox One X is still very young as of this writing, it's most likely just concepts at this stage. The requisite statement on social media. Vague, but acknowledging they heard about it. These are the kinds of things we've seen in the past. Again, it's all dependent on how far along Microsoft is, relative to Sony's plans. If Albert Penello is to be believed during the IGN podcast, Microsoft didn't even know about PS4 Pro until rumors hit the general public. According to him, Microsoft was convinced Xbox One X was completely unique up until that point. If that's true, and they don't know much about the competition, then it was a pretty big coincidence. Even so, if they were in the dark, it stands to reason they may not realize the PS5 is coming until Sony announces it. It's hard to say for certain, but it's fair to assume that Microsoft is considering their next move. Whether or not they are ready for Sony's announcement remains to be seen. What do you think? Will Sony catch Microsoft off guard? Will they be ready? Or, will they beat them to the punch? Let us know in the comments! nae wiy that's real mate that looks incredible!